Did you know that you can log into your Beechmont Racquet & Fitness account to see your log in information, billing information and more. You can click on CONTACT US below to request that information. whatever your needs or fitness level. Experience the best value for the price. Absolutely no enrollment fees! a leading role in the Cincinnati tennis community for over 40 years! We have great options for everyone of any skill set including beginner, juniors, and more advanced options. 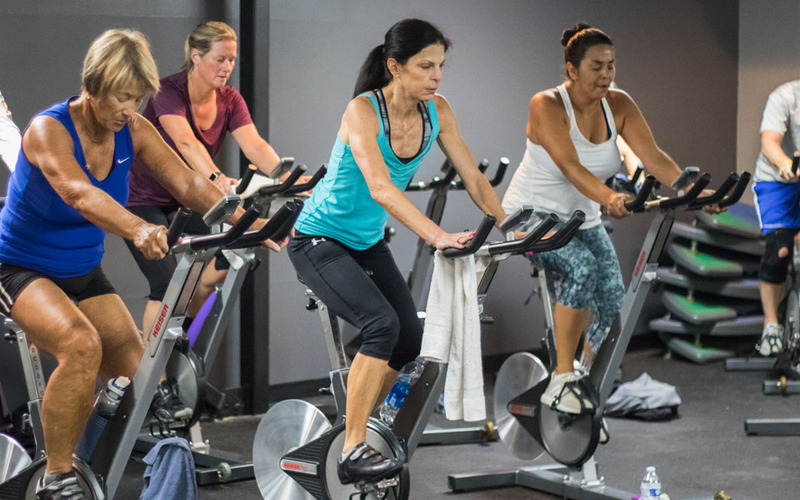 Beechmont Racquet & Fitness offers an exciting variety of fitness classes. Our classes include beginner, intermediate, and advanced exercises for people of all ages and fitness levels. Our renovated fitness center has become one of the showcase focal points of the facility. Whether you’re getting ready for a fitness competition, working on strength, or looking to slim down, our fitness center has everything! Our facility has integrated the best technology available. Make your commitment to exercise easier. You would be hard pressed to find another fitness facility that has as much cardio equipment. These programs are designed to help build coordination, self-esteem, and confidence. Our programs offer an excellent opportunity to have fun and expand the children’s social skills. We teach them that Fitness Is Fun! the lap pool is a great place to burn calories and raise your heart rate without causing joint pain. The lap pool consists of four lanes measuring twenty-five yards in length. The pool’s thermostat is set around 82 degrees. We have early morning, mid-morning, and evening fitness classes and training sessions to fit your busy schedule. Any of our instructors will be happy to help you set up a workout schedule or answer any questions you may have. Last, but not least, we have FUN working out! Enjoyment is key to staying motivated. Come join us, get fit, meet new people, and feel good! With repeated scans you can accurately track progress towards your desired weight loss goals. Your scans will show several different angles and prove that even though you have only lost 2 pounds you may have lost significant inches in your waist, thighs and throughout your body. Thank you and we will be in touch! What Diet is the Best for You? Not everyone’s body responds the same way to different diets. The key is to find a match for your body and metabolism that also works with your lifestyle. While we aren’t necessarily endorsing these diets, there are some great options for achieving your weight loss goal.